This one is a beauty. 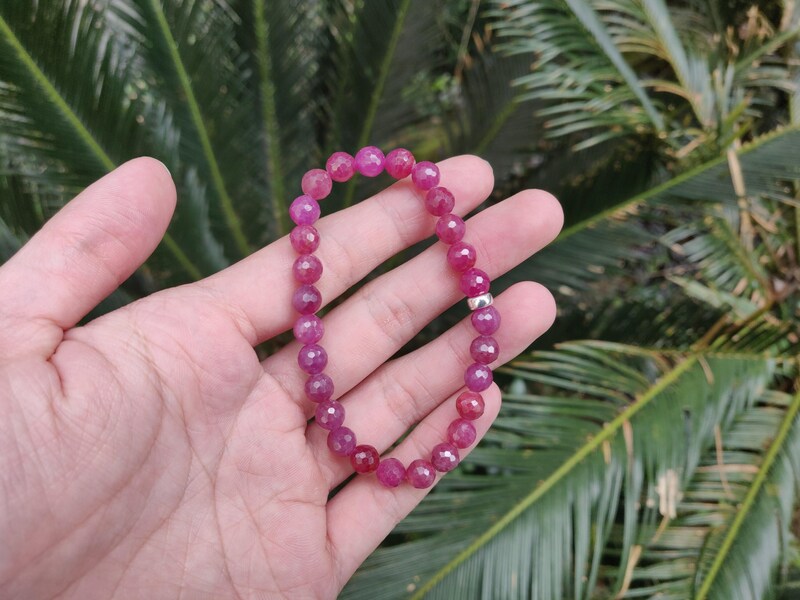 This ruby has a classic ruby red color. 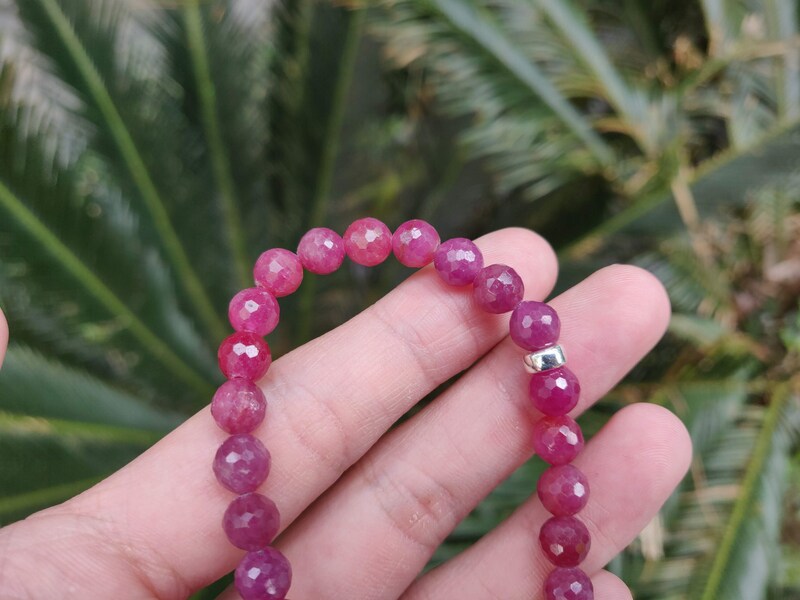 And the color is consistently rich throughout the bracelet. 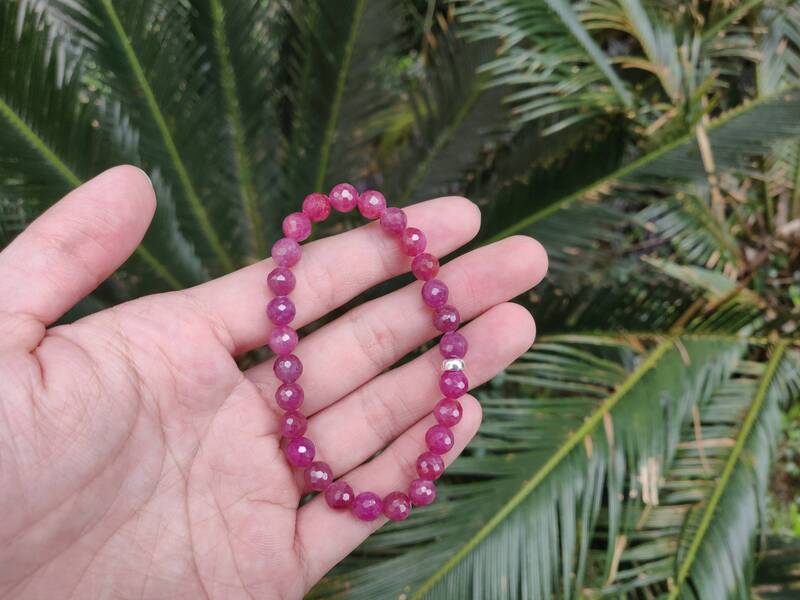 The ruby is also faceted to allow it to sparkle on your wrist. Don't miss this one if you are a fan of ruby! 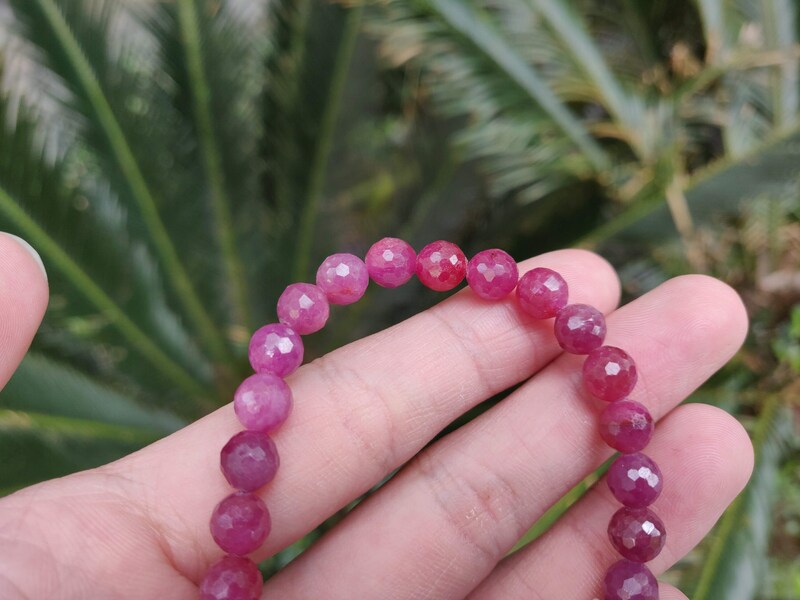 Ruby is a red variety of the mineral corundum. 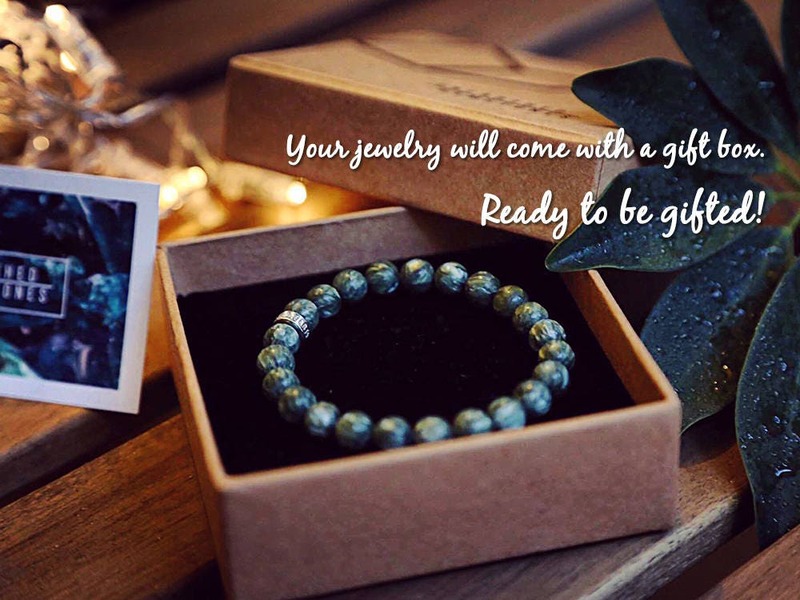 It is a precious gemstone like diamond, sapphire and emerald. 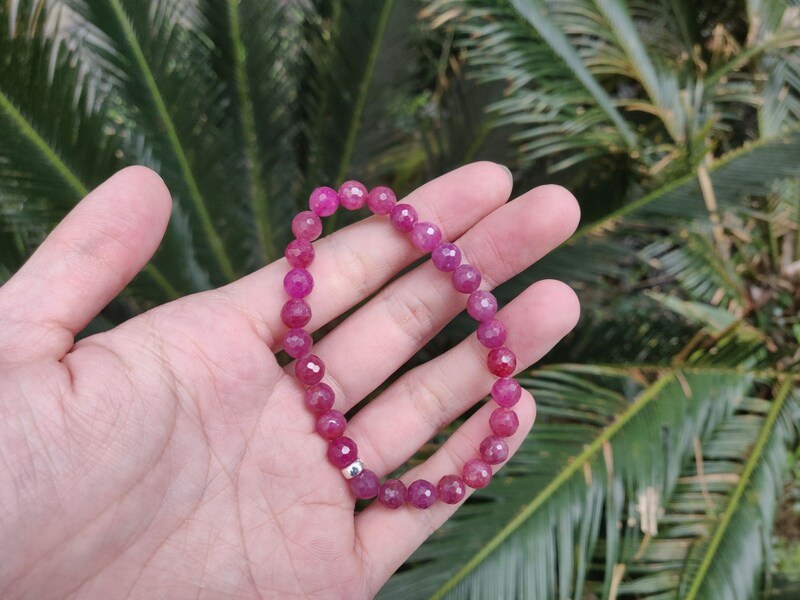 The red color of ruby comes from traces of chromium. 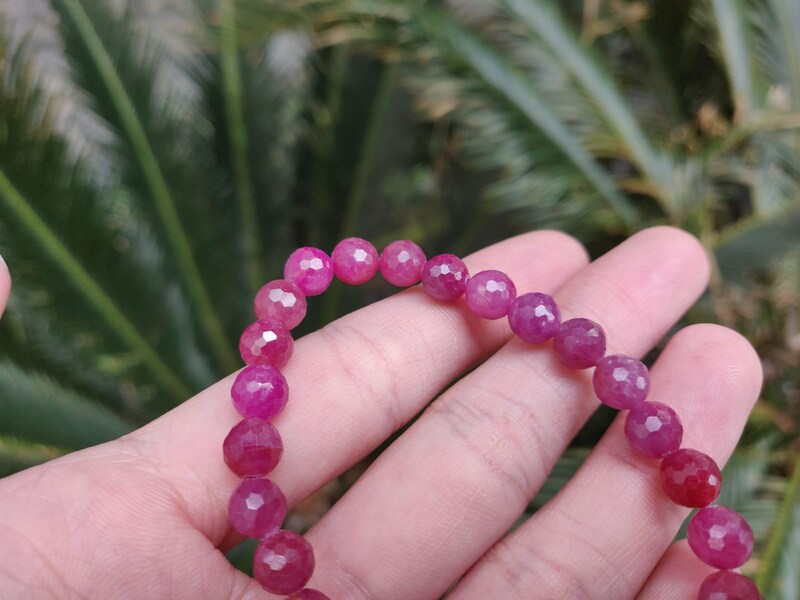 It is also the hardest gemstone after diamond, which means it is a very durable choice for jewelry. 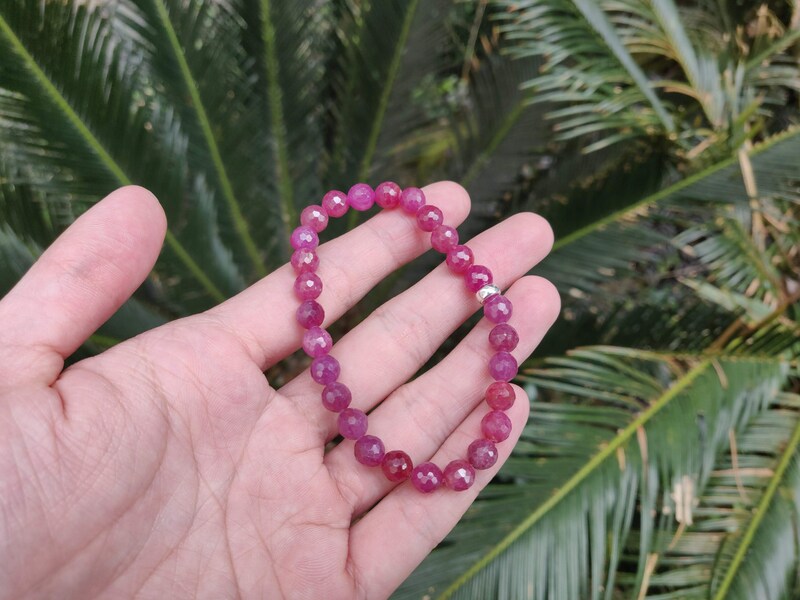 The red color of ruby represents love and passion, which is why it is one of the most popular choices for a romantic gift. It is the birthstone of July.